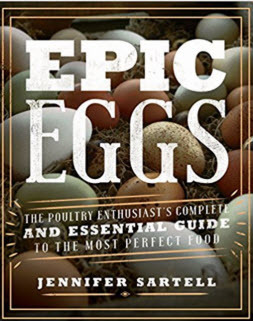 It doesn’t matter if you raise your own backyard chickens or if you’re a consumer of organic, farm-fresh eggs – there is always more to learn about eggs! 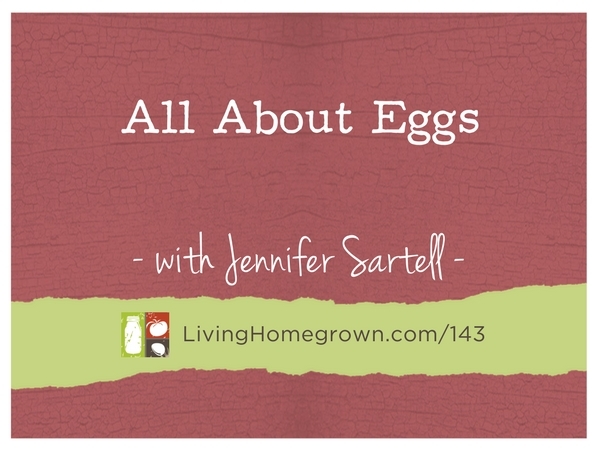 In this episode, I bring on author Jennifer Sartell to discuss everything we might want to know about chicken eggs. From the colors we can have, to the best practices in egg storage…we get into it all! 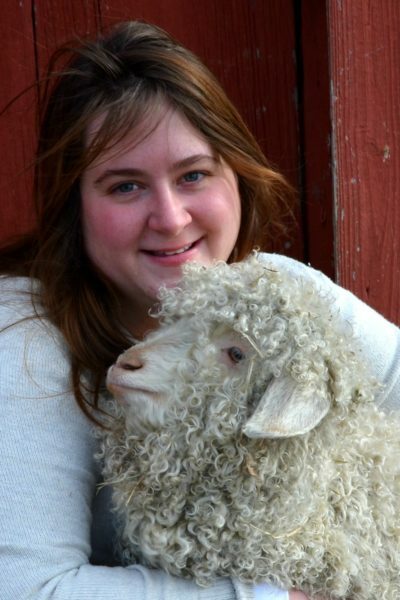 Jennifer Sartell is the primary care taker of all animals on her and her husband’s farm in Fenton, MI. With a passion for living a simple life, Jennifer enjoys creating art, taking in nature, raising animals and has developed a deep appreciation for homesteading. Jennifer and her husband, Zach, currently run a U-Pick Lavender and Sunflower farm and they raise goats and poultry. She can also cook a mean farm-to-table meal and when the day is done has documented and photographed their day on the farm. Good morning. First time listening to your Podcast. Hi Theresa, I LOVED your latest episode on eggs. I’ve had chickens for years and yet I still learned so much. Can’t think of a better way to spend a morning than potting up little seedlings while listening to your show! I wanted to share a funny story. Years ago when we first had chickens my girlfriend and her young family lived in the residence hall at the local University. She was longing to have chickens of her own so her little daughter could be a part of the process. With a wink and a nudge I said take an egg and see what you can do. Well, she put that egg on a heating pad, turned it multiple times a day, soaked cotton balls for humidity ( all very low tech!) and darnit if that egg didn’t hatch. In their exuberance they but a banner across their dormitory door announcing the arrival of “Butterball.” Of course this was against University policy but I guess some rules are just made to be broken!! Thanks again, Theresa. I look forward to each and every episode! Karen – That is a GREAT story! I love it!!!! Very interesting podcast. I too raise chickens and am always interested in other people’s experience. Much of the literature talks about the chickens’ need for light during the winter in order to lay. I live in the rural area of Edmonton Alberta in Canada. Our shortest day of the year is about 7.5 hours. And we have very long and cold winters. For the past three years I have had a light on for 12 hours per day to ensured that my chickens would lay during the winter since I have clients who like to have eggs throughout the winter. I found that the chickens seemed to peck at each other alot. This year I decided that I would not turn on the light until I noticed a significant drop in egg product. That never happened. On average my 48 Rhode Island Red layers layed 43 eggs a day. I have since read that this breed will lay more during the winter months than other breeds but I was very surprised at the regularity. I must add that my coop is really just a large walk-in chicken-wired pen. It has corragated plastic roof and poly 4 feet down the sides letting light in and surrounded by straw bales in winter to protect them from the elements. My birds are healthy and have not been pecking each other and they continue to lay wonderful eggs. Wow Lucie – That is really interesting that they kept laying. My Easter-Egger laid all winter for the first 3 year years and then she stopped during the winter. But she has always been my best layer. Breed type must have a lot to do with it!